Sounds Like: Hank Williams Jr.
Sign up for Broadjam today to follow UNITED SOUTHERN ALLIANCE, and be notified when they upload new stuff or update their news! 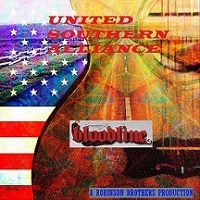 Robinson Brothers have been writing songs for years we are recording and releasing them to the public. This album is the 1st of many to come. We will be announcing a world tour for 2016.